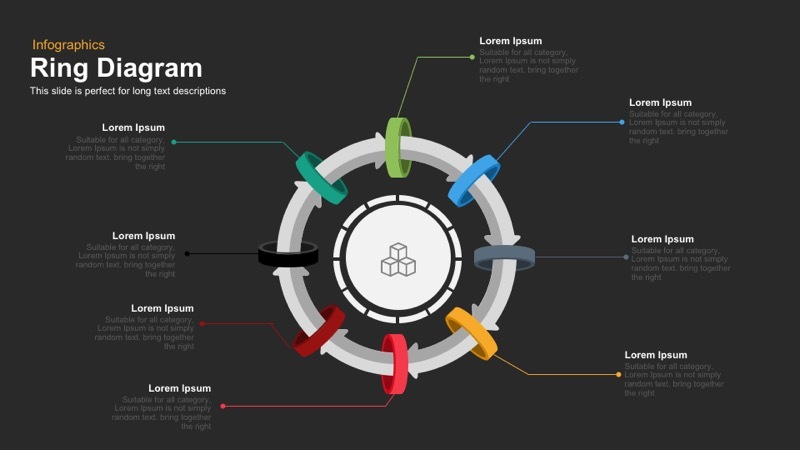 Ring diagram powerpoint template and Keynote slide are designed with 8 rings inside a circle which can be used to show the process or services accordingly, The template is designed in both PowerPoint and keynote version in 16:9(widescreen) and 4:3(Normal) Version. 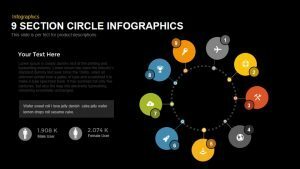 Present all type of cyclical illustration using the ring powerpoint diagram template and keynote slide. It contains eight small spiral rings encircling the bigger one. It is useful to show eight concepts about any phenomenon. 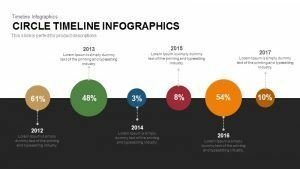 Impress the audience with the creative and colorful diagrams and designs. 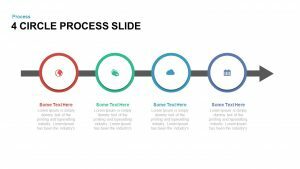 This slide is specifically designed to catch the attention and attract them to focus on the contents of the presentation. The unique circle diagram provides an aesthetic look in the black and white background. 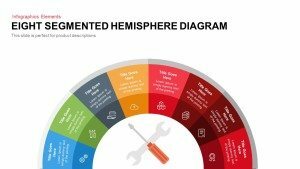 Normally, circles diagram helps to show the sequential movements of elements with interconnectivity and relationship. 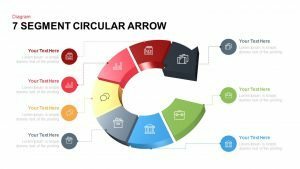 The big arrow circle is been illustrated as the same pattern. 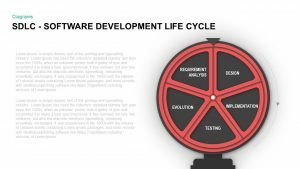 The user can utilize this style to denote the iterative and logical sequence of the process, steps, and stages. 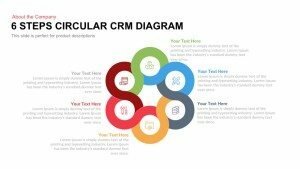 Ring diagram PowerPoint template shows the complex business process in a simple way. The eight rings are colored differently with distinct and attractive color codes. Each ring has separate text zones which are indicated by the thin lines. Hence, viewers can easily distinguish the concepts with exact comprehension. 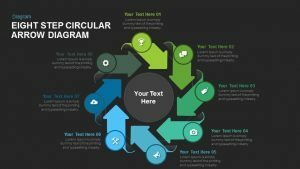 The text areas seem to be far away from the circular shape, which creates the clean and smart vision to the presentation topic. However, the thin line layout helps the viewer to catch the concept easily. 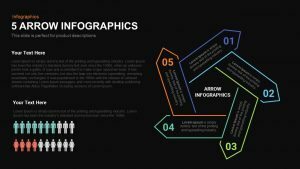 All of the rings in the diagram PowerPoint have bright and eye-catching colors that easily bring the illustration to attention. This allows the presenter to keep the presentation fresh and interesting. 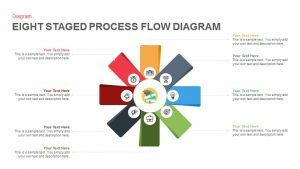 Business managers and teachers can select this ring diagram for PowerPoint presentation that may able to show the business process and different theoretical conceptualization. 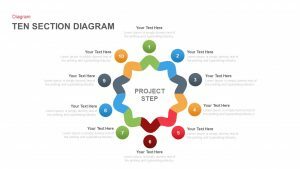 There is a step icon in the centre of the template; presenters can use this area to show the key concept of the discussion. 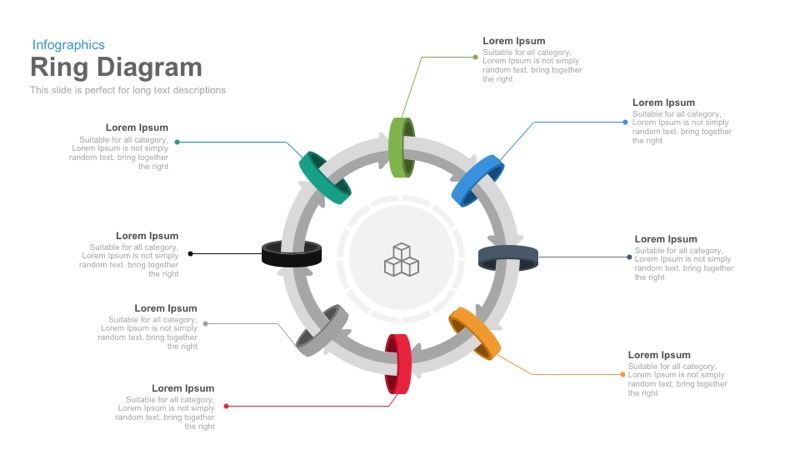 Ring diagram is also customizable; users can change the size and color of the template and rearrange the text fonts accordingly. 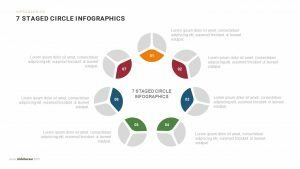 Users can search for more circle diagrams and download this attractive process diagrams from our arcade.